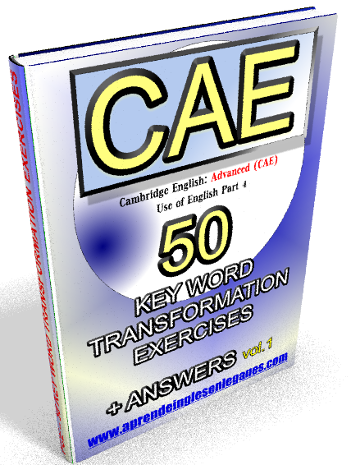 These ebooks contain 50 Key Word Transformation exercises each . Using the "key word", students are expected to complete the second sentence so that it has a similar meaning to the original sentence. 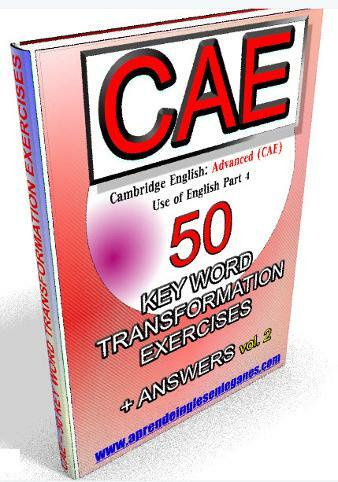 The Key Word Transformation is part 4 of the use of English paper. In order to pass this task , students must be able to recognize what they are being tested on. For example, they need to know when they have to use the passive voice, a causative verb, modals of speculation, a conditional tense,etc. 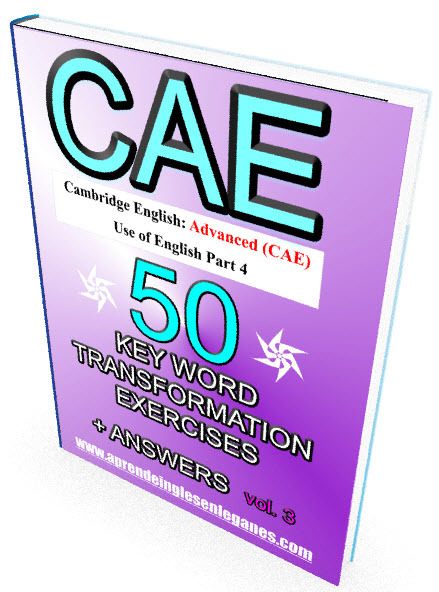 The exercises in these ebooks test the most common grammatical structures that students need to know in order to pass part 4 of the Use of English paper of the Cambridge English Advanced (CAE) examination.